An old friend (you know who you are) came over yesterday, looking for company on a hard hard road she’s traveling. She’s suffering greatly with many things, anxiety being one of them, and we spent an hour or so just being real with each other and listening. And then I laid awake a good portion of the night wishing I’d said more to reassure her. I wish I’d let her know how very strong I think she is, even though she feels so weak right now. I wish I’d told her that the best thing she can do for her family and her beautiful children is forgive herself and stop self-flagelating over past wrongs. I wish I’d said that I think she’s great and strong and beautiful not in spite of these bumps in the road but because of them, because God makes beauty from ashes and he’s doing that in her life. Right now. And it’s wonderful to see even if it means watching the hard stuff first. And it’s important for you to know that one of the people groups she fears letting in is her church family. Her church family. She’s heard it said that depression and anxiety are outward symptoms of an inward spiritual lack of some sort, faith and trust, I guess and that they can only be alleviated by prayer and dependancy. She’s heard it said, and so have I, that anti-depressants have no place in a Christian’s medicine cabinet and she is so fragile, like an egg, right now that she fears hearing these things and spiraling downward. And while I agree that some depression and anxiety is spiritual in nature and can be a symptom of taking your eyes off Jesus, I’m angry that the body of Christ, which is called to be a lighthouse to floundering and lost ships seems ominous even to one of it’s own. And so I’m challenging me and you and everyone else out there to think this through very carefully because if we mess this one up there will be repercussions and they will hurt the very heart of Christ. Come, my friend. Be welcome here amongst people who love the same savior you do and find rest with us as we pray you through this dark place. And let me tell you all the things I should have said yesterday, but forgot, like you are walking a road that is lined with everyone who has gone before you and they are cheering you on, not judging. They are a great cloud of witnesses and they’ve seen it all. So has Jesus. And none of this is taking them or Him by surprise, even though it probably shocks the heck out of you when you stop to think about it. And you need only to keep your beautiful eyes on the finish line because that’s where Jesus is waiting for you and you will be victorious because that’s the business He’s in: beauty from ashes. I want to tell you all that and more. You are strong. And real. And the world needs more of you. Micah is six. He has been utterly rejected by his mom; his two older sisters have not. 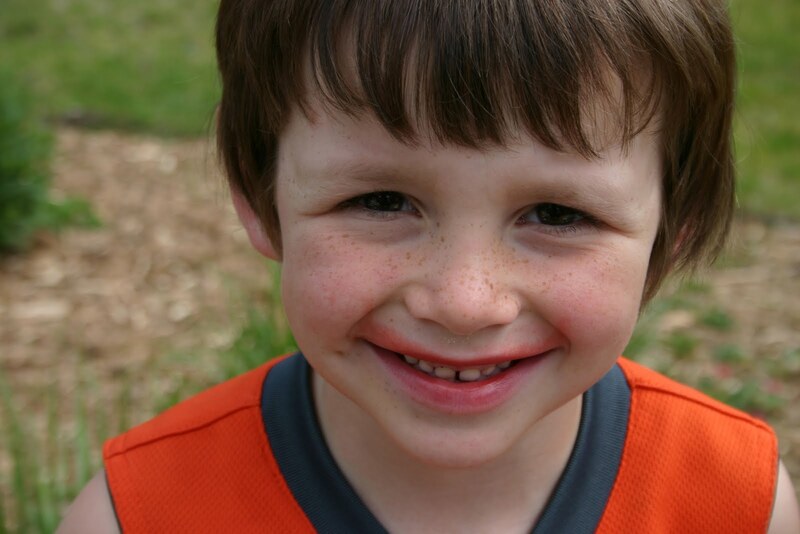 Micah is in foster care awaiting the termination of his mother’s rights so his foster family can move toward adoption. I have wept for Micah, for the brokenness of a woman who chooses her daughters and her boyfriend, but shuts the door on her little boy, for a foster system so corrupted that I want to go rescue him with a ladder, feed him some hearty soup and spend the next one thousand years reassuring him that the King of the universe thinks he’s great and so do we. We don’t know what the future looks like for Micah. Dan and I spent some time praying the other night, before we knew he wasn’t adoptable. We were sure God was throwing down the gauntlet and asking me to put my money where my mouth was and we said, bring it on. Dan actually said that. Then finding out he isn’t adoptable was bittersweet. So, I talked to the boys tonight and told them bits and parts of what I know and asked if they would commit to praying for a forever family for Micah. They asked if he could come live here. Right as soon as I had the very first sentence out of my mouth, they had a solution: we’ll be his forever family. And it struck me: their response was exactly what ours should be. They see a need and they figure out how to meet it. Black and white. He needs a family. We are a family. We’ll join up. Beautiful. It’s no wonder Jesus calls us to be like children. Oh, and that woman on the blog? Turns out she has a kid at Ada Christian, went to my high school and can’t figure out for the life of her how she got on my blog. I love serving a clever God. Take thirteen chickens. Add neighborhood dog, four children and a mom. Subtract a dad. Factor in emotional attachment and financial expenditures to date and divide it all by 89 degrees and you get the square root of miserable. Which is what we were yesterday. 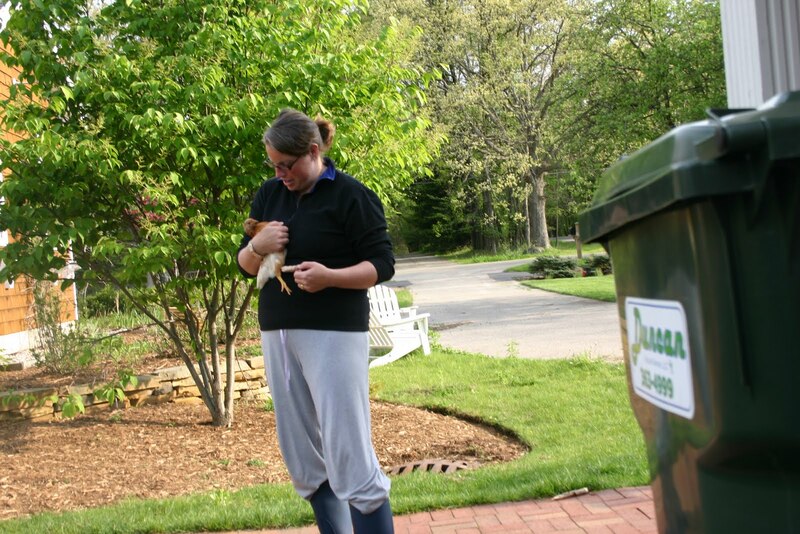 It was while laying on the couch, imploring the kids to just watch Arthur for a bit while fanning cool air down my nursing cami that we heard the commotion and jumped up to find a strange dog chasing the chickens through the backyard. After chasing said dog away, we spent a hot hour or so rounding the girls up from their hiding places in the woods and continually counting them over and over and over. Twelve. Twelve and a pile of feathers. Twelve and a pile of feathers and three heart broken kids with tear-stained cheeks calling, here chick chick. Grotesque to be sure. Dr. mom bandaged that one up quite nicely. I had to include this shot because the angle of the camera in the close up shot above makes me look like I’m pregnant which I’m absolutely not, but my camera man is six and he doesn’t understand camera angles. Then there’s Baldy, who got her head stepped on when she was just a teeny chick and it scalped her, but we smoothed the skin out and she’s fine, if not a tad uglier than the others. We’re thinking of opening a hospital. One that serves chicken nuggets and Kool-Aid while you wait. So, twelve chickens, while plenty for me, was not good enough for these little people of mine who have fallen in love with thirteen Kevins and can’t stand the thought of losing even one. So we prayed. And when we drove in the driveway from Peter’s game, there she was. We welcomed her home with singing and dancing, killed the fatted calf (Tess feed her a handful of good organic blueberries) and reunited her with her sisters. Happiness all around. 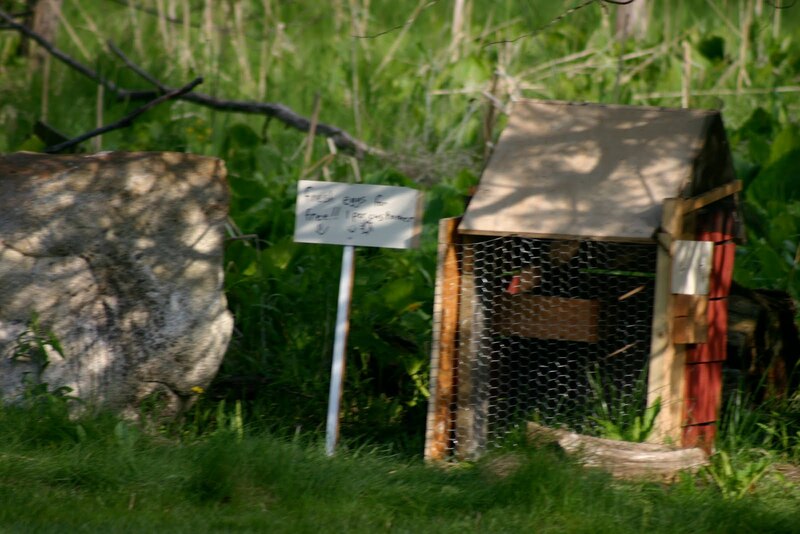 It must be said that raising chickens is fowl work. 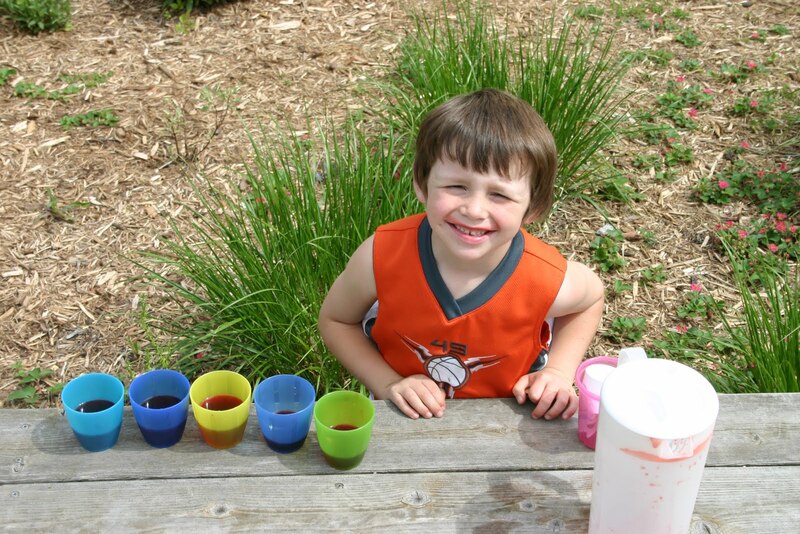 With a stunning show of entrepreneurial-ship, this kid took advantage of the heat by selling lemonade to his family. 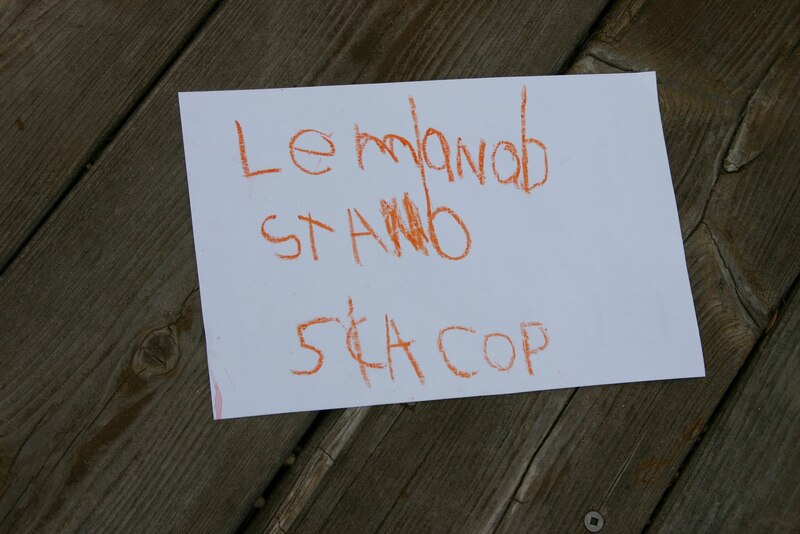 Without asking for even the smallest bit of help, he made the lemonade, tested it for poison and erected a sign heralding his business. The shelter I bought for the deck lasted exactly almost nearly two weeks before becoming a sculptural mass of mangled metal in our driveway but the heat today was calling out for some shade. 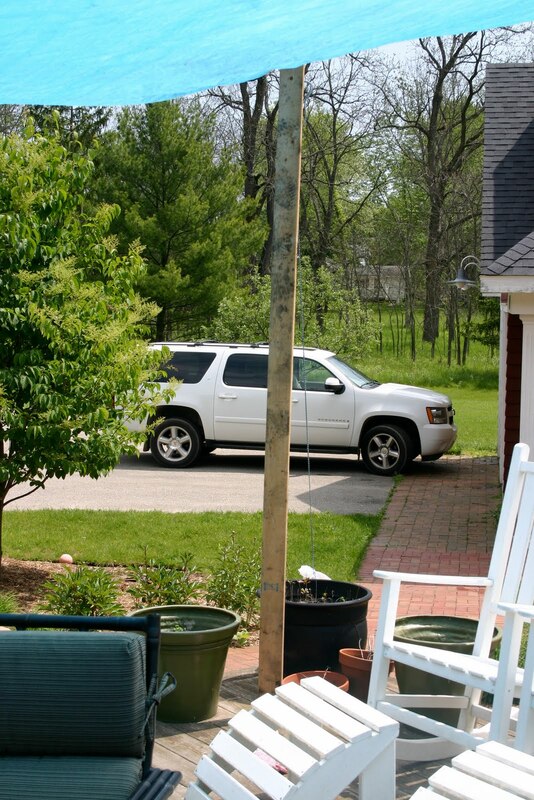 Turns out this man I married, not only is very kind to repeat callers in the middle of the night, but also with a nod to his country roots, can throw up a mean lean to from some frayed rope, an old blue tarp and a fair bit of ingenuity. I pleaded with him. Begged him. Please, I said, please don’t do this thing on our deck. I’d rather stay inside than sit under a torn, stained blue tarp. We look like we’re from Borculo, I said. We look like rednecks, I said. I’ll die if anyone comes back here and sees this. 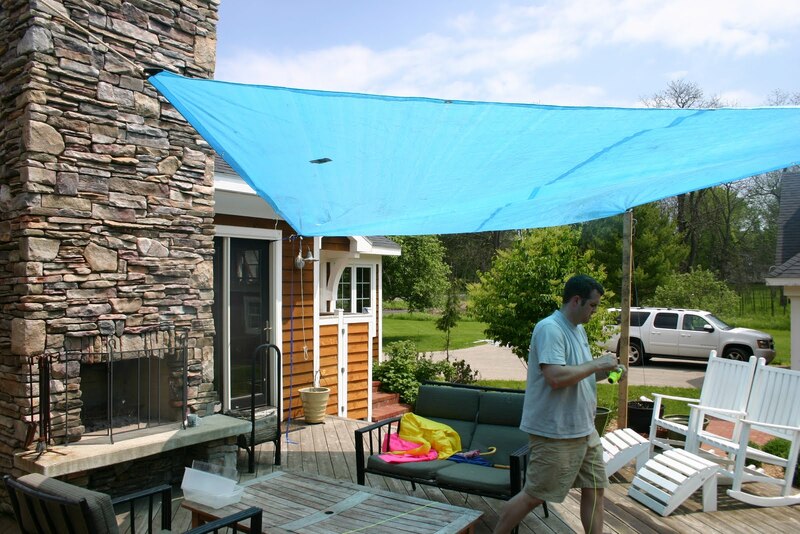 I’m ordering a shade sail right now. See? This is me ordering a shade sail. Put the duct tape away. Oh, yup. The ratchet strap through the door is a nice touch. My favorite part. Nope. Spoke too soon. The muddy 2×4 is even better. Sweet. 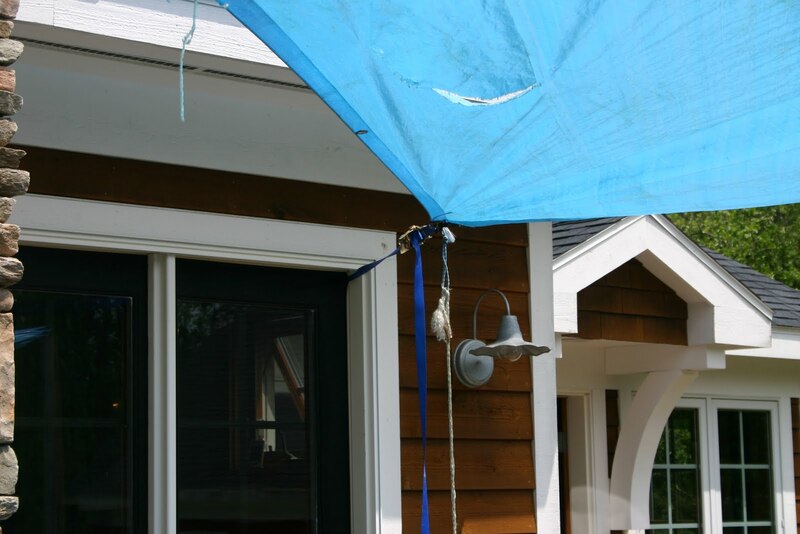 I printed the receipt for the shade sail I’d just ordered and showed him how quaint it could be if we all just used rain umbrellas like parasols in the meantime, but only Tess bought it. I threatened to take up smoking Virginia Slims and watching Nascar and making the boys wear wife beaters. I think I stomped my foot. I think I mentioned the neighbors a few times. Until he said, I thought you were trying to be real? 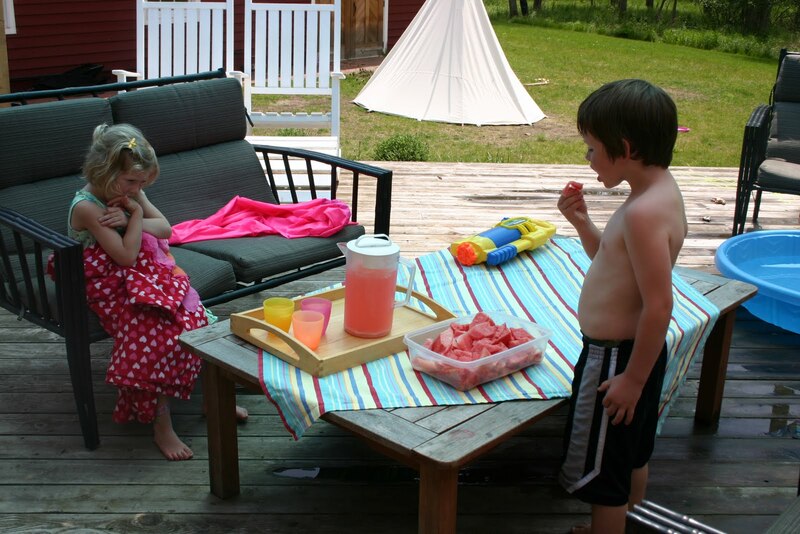 So I dressed the table with a cloth and cut up some watermelon and served lunch al fresco. And I’m not going to email the neighbors and explain the shanty town that has sprung up across the creek, even though they’ve surely caught a glimpse of blue plastic through the trees by now. Because this is my Green Acres, tarp and all, and this is how we do life. Me and this man who kills me and four yummy kids and thirteen Kevins and a tarp. In the country. Being real. So I was just nursing Lucy again (this time for me) and thinking about what I’d just posted and about God and praying for Micah and stuff and I felt this strong impression to lay it all out. My convo with God went like this, “Just do it God. You just bring that child to my door and see if I don’t welcome him/her in with open arms and kill the fatted calf, or at least put a nice beef roast on (ok, so I realize I’m challenging God. GOD.). Cause God you know my heart and you know how crazy it makes me feel to think of a kid without a mom. And even though Dan may very well kill me for praying this because, seriously we already have more than we can safely handle, bring it on.” I know this prayer is unconventional, and that we live in Ada so the likelihood that a kid’ll come knocking on our door looking for a family is slim at best, but there it is. And now I’m off to bed for one last precious hour of sleep, but I’m going believing that somewhere out there is a kid named Micah, and he/she is looking for a family and we may or may not be that family, but we are called to pray. So that’s what I’m doing because I fail at so many things, but I don’t want to fail at this admonishment from the Bible because if it’s precious to Jesus then it has to be precious to me. So this is me. Being real. And heading to bed. And praying for someone named Micah. It’s national week of the foster child or something. A woman stood at church this weekend and challenged all gathered there to pray. Not just in a general sense, but specifically, the way that we pray for our own children. For the half a million kids in foster care who don’t have forever families and possibly never will. And as I was just nursing Lucy, I asked God to give me a name and He did: Micah. So I’m praying for Micah this week as if he/she were my own child because the idea that there is a child out there, no longer nameless, who doesn’t have a mom storming the gates of heaven, who doesn’t know the warmth of a family, the solidity of a mom and dad who are never leaving, the security of something as basic as “this is my house. I live here.” makes me hurt. So badly. And if we claim to follow the teachings of Jesus, then that’s who we are called to spend our energy on behalf of, so I’m trying to do that this week and I don’t know what it looks like, but I know it starts with prayer. The Stockbridge Boiler Room (check out the link in my sidebar) is hosting an hour prayer session tonight for those interested in praying corporately for children in Foster Care in America. And I’d go but Dan has class, and if we all go I’m afraid there will be four more kids in the system, so I’m going to stay put, but we’re going to be breathing prayers for Micah and for the hundreds of thousands like him/her who are waiting. And we’ve all waited for stuff: waited in the the check out line, waited for the check in the mail, waited for the money for a new handbag, but none of us, I think, can really understand the angst of waiting for a family. The Bible says that creation groans in anticipation of Jesus coming and this morning I do too. Groan. For Micah and others without families who are longing for a savior in the form of a mom who will snuggle them on the couch when they are sick or will look on with rapt attention as they show her their latest new trick or will put healthy food in front of them and admonish them to eat it so they can grow up to be a fireman? a nurse? a teacher? a mommy/daddy? Oh, Jesus, come. Because there are a whole lot of us and half a million kids in foster care who are groaning in anticipation of you. Help us to practice pure and faultless religion so that your kingdom will be realized and that numbers will be added to your family, because right now, a half a million of your children are missing and you ache for them to be found. Bring them home. This teeming mass of digustingness that bursts forth every spring and invades my space. Jeff the Pharmacist (not his real name), who nearly killed me (but that’s a story for another time), swears chickens love Eastern Tent Caterpillars, but he’s wrong. 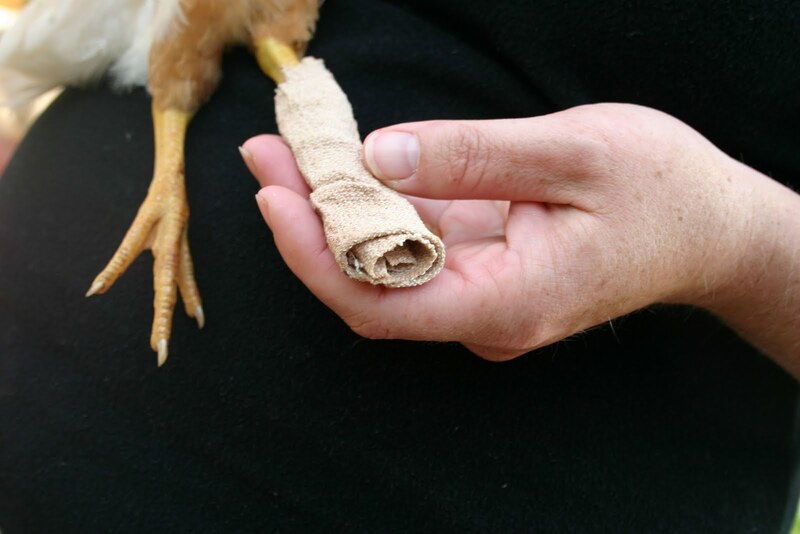 Our chicks hate them. I poked a stick into that gooey orb and carried several, gorge rising, down to the coop and tossed them in. No reaction from the Kevins. They prefer whole grain bread torn into little pieces. Strike two for Jeff the Pharmacist (not his real name). 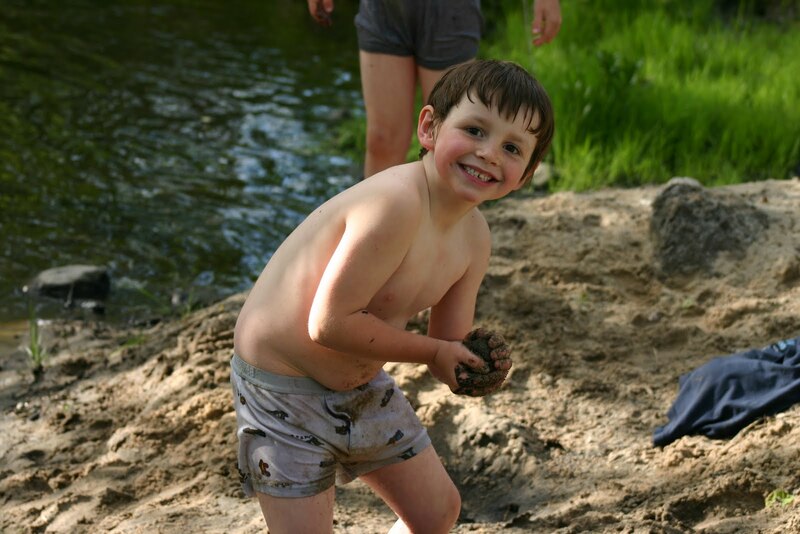 You should never leave kids alone by a creek, not because they’ll drown, but because you will go looking for them later only to find them stripped down to their skivvies in near glacial temperatures, doing wild things with sand and mud. But then you can dangle a hot bath in the outside tub like a carrot in front of a donkey and they’ll happily follow you anywhere. They’ll even lead the way, filthy clothes in hand. 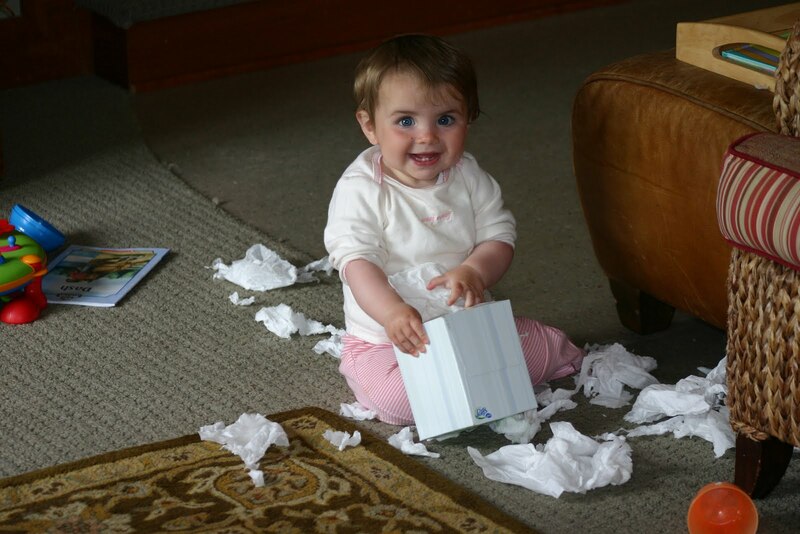 Better Kleenex than caterpillars any day. And at the end of a Sunday when you are so dog tired from chasing kids and picking up one mess after another and when your muscles are so so sore from exercising the day before (more on that later) that you can barely bend over without losing your breath, you’ll relive the moments in slow motion as you flip through the pictures and you’ll realize you can’t think of a better way to spend a Sunday. There is a clarification that needs be made here in these cyberpages of mine. It was brought to my attention by my dad this afternoon as we watched little bobble-headed boys run the bases in the warm sun. I don’t love Amazon more than Schulers. I can’t stand Barnes and Noble. Nowhere is it better to get books than Schulers. Really. Amazon has it’s place in my heart because I’m busy and it’s convenient, but it can’t hold a candle to spending a couple hours lazily running your fingers across book spines on a rainy afternoon surrounded by the honey oak and and worn armchairs that is Schulers. You don’t get that from a website or a big box store that is franchised to some entrepreneur who, for all we know, doesn’t even like to read beyond Forbes and Men’s Health. So, order books from Amazon when you just can’t make it out of the house, but set a date for Schulers and take along your husband or a child or two. Make a night of it. Dig up books on subjects you didn’t even know were interesting. Judge a book by it’s cover. Go ahead. Lucy and I spent a lovely afternoon there on Tuesday, spending that wonderful gift certificate from my wonderful boys. Oh, and I didn’t even spend it on a book, I bought one of those flax seed pillow things you put in the microwave for sore muscles, because have you ever upchucked so hard you strain the muscles in your neck? I did that last weekend from sheer exhaustion (and nothing else, I swear). But that’s another story. For now, just know that my heart only belongs to one bookstore and it ain’t Amazon. I’m devouring a book I picked up at Schuler’s the other day~ Coop: a Family, a Farm and the Pursuit of One Good Egg. I love this book. And it’s reminded me that, even though I stand to gain very little, I need to put a plug in for Amazon. If you’re constantly swirling around in the whirlpool of instant gratification, this is the place to hang out. Every book ever printed, I think, all at your finger tips. Books may just be my favorite material possession. I lurve them. I have books arriving from Amazon at regular intervals, just to keep me happy, prompting Dan to ask me this week if Amazon should be a line item on our budget. I told him 50 or 60 dollars a week oughta do it. He was not amused. So, because I love you so much, I have this carousel thing at the top of my page where I can recommend books and you can buy them and we’ll all be happy. The only blip is that I can only recommend like 6 at a time and I really have one million, seven hundred and twenty eight that I think everyone should read before they die, or before next week, whichever comes first. And if your husband is handy (or you are a husband), there are books on how to design and build shelves for your collection. I’m thinking of ordering some of those for Dan. So there. A really shallow post, but now you know how to get your mitts on some really great books without having to venture out into the crappy rainy day with fifteen children and none of them wearing rain boots or thinking to bring a jacket and all of them hungry but not for the same thing and at least half of them whining for some toy that’ll break before you get home and make everyone just that much more miserable. That’s no fun. Amazon? Fun. Woke up to kids telling me to stay in bed. Yes. Stay in bed. Didn’t need to tell me twice. Then greeted by a bowl of fresh berries, Gerbera Daisies and a balloon from each kid, even Lucy. I have pics of this, but thought I’d spare you me in my nursing cami and bite splint (rrrrrrr). The boys bought gift certificates to Schulers with their own money, which they hold on to quite tightly, so I feel very honored. This gift may have been prompted by a conversation we had a few weeks prior about what cremation was and I explained that it was when the funeral people burn a persons empty body in a big furnace and then their family spreads the ashes in a place that was special to the person who died. I have asked to be cremated and have the majority of my ashes spread in the fiction section of Schulers with a bit reserved for London and a bit for the cottage. So, Schulers. From the boys. And a sweet card from The Kevins, those thoughtful birds. And Dan bought me a garbage disposal which might sound like a crappy gift to anyone not living with a pan of smelly water under the sink (see post titled “tired.”). So happy. 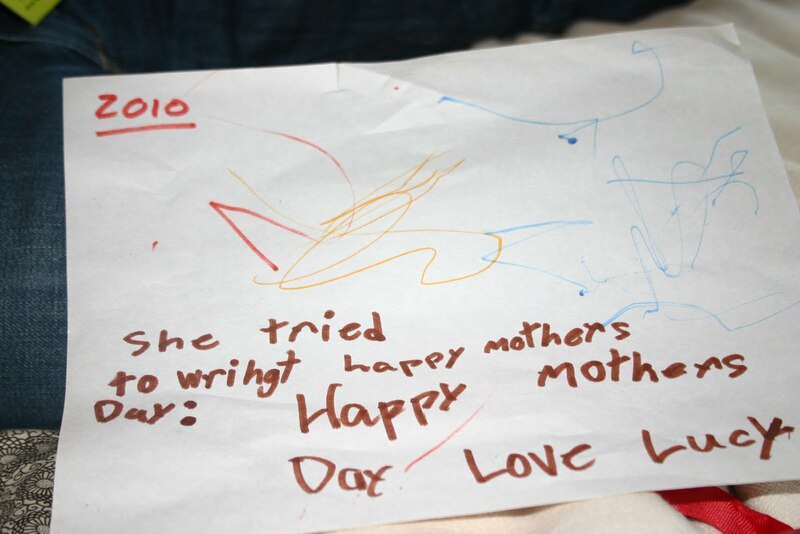 Which is what I said to Dan as I languished in bed with my fruit and my garbage disposal, “This is the best Mother’s Day I’ve ever had.” To which he replied, “Except the ones before we had kids. Those were pretty nice too.” Yes. No toothpaste in the sink. No one complaining that he got hit or punched or got his toy stolen by that rat brother of his. No little shoes to trip over in the back hall. 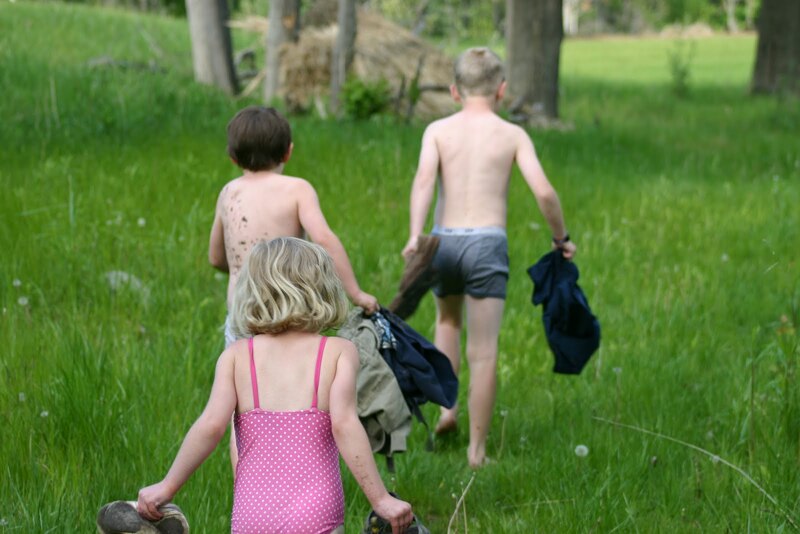 No piles of laundry or sporting equipment or dirty diapers. No little voices telling me I’m the best, even though I’m not. No grubby hands slipped into mine while we snuggle in the monster bed. No pages filled with scribbles of witty, clever things these amazing creatures have said that I just had to write down so I’d never forget. Never forget. 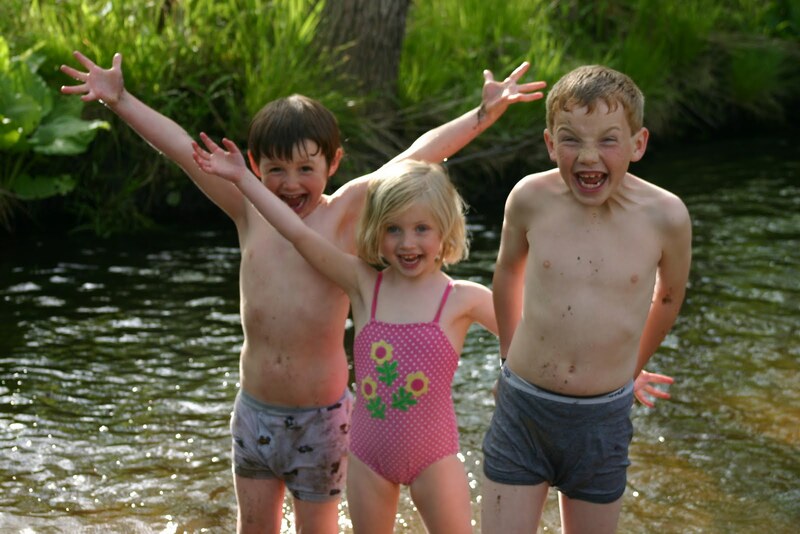 Yeah, those days were simpler, but these days are so much sweeter. So, happy Mother’s Day to all of us who adore their children, even though we sometimes get why some animals eat their young. Happy Mother’s Day to everyone who occasionally longs for those days before children when the biggest worry was which drycleaner to use, but who would actually never trade these crazy days for anything. Nothing. Happy Mother’s Day to the mothers who birthed us, nurtured us, let us drive them nuts but still gave nearly everything of themselves so we could be good people when we grew up. Who spent countless hours, like we do now, on their knees praying for healing, peace, direction, a Godly spouse, grandbabies, brokeness, wholeness, and who have cried, as we have, countless times when they’ve been exhausted or elated or just quiet, watching a baby sleep. And especially to our Nana who dropped everything to take Tess to Grandfriends day this week when I got it wrong and she was in danger of having to miss the whole thing because she was Grandfriendless. You are the best. This day is the best.